This is the beginning of something new. Over the last 7 years, I’ve had the pleasure of helping students gain the skills and knowledge that they need to work in the industry today. I’ve taught individuals of all ages and backgrounds and seen many go on to further study at university or specialist industry training institutions. 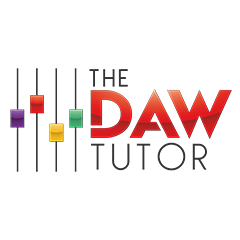 I decided the time was right to take my services to a wider audience, so here it is – welcome to The DAW Tutor. Until now, there has been no real middle ground between watching the content of an online tutorial and paying a hefty fee to get more ‘hands-on’ at college or university. The DAW Tutor bridges this gap by providing one-on-one tuition in the comfort of your own home, with an experienced tutor who creates lesson content to cover the areas of music production that YOU want to learn. Think of me like a traditional private musical instrument teacher who travels to your home to give you a lesson, except I bring a whole studio with me and I show you how to produce music on your computer! And what about this blog? In recent years, many fantastic learning resources such as The Recording Revolution and The Pro Audio Files have sprung up online. YouTube is also awash with some great (and not-so-great) music production tutorials. I’m certainly not trying to emulate what the other guys do, as my focus is very much on ‘offline’ learning tailored precisely to an individual’s needs. This does not mean to say that I won’t be posting the occasional helpful article, review or tutorial here on the blog though, so make sure you subscribe to The DAW Tutor’s social channels to stay up to date. If you have a passion for music production, I’m here to help you turn that into real-world practical skills – book your first lesson and start your journey with The DAW Tutor today. Copyright © 2019 The DAW Tutor. All Rights Reserved.